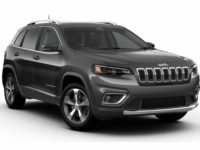 If you’ve been considering a Jeep vehicle lease, perhaps for the reliability, ruggedness and off-road performance for which the brand is so well known, you should also be considering leasing that Jeep from Car Leasing Brooklyn! No other agent can boast the kind of low monthly lease rates that we offer on every single Jeep model that we have in stock! 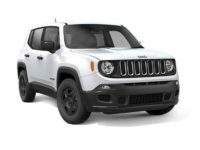 And our selection is the widest around – from the classic Jeep Grand Cherokee SRT SUV, the Wrangler SUV, to the Renegade SUV and more besides! 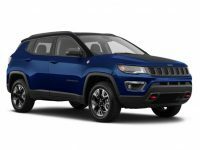 Jeep auto leasing from Car Leasing Brooklyn is simple and even (dare we say) fun with our all-online Jeep leasing scheme, that provides you with the Jeep you want at a price you won’t have trouble affording, and all from the comfort of your home or office! Don’t bother trekking out to the car lot of an old-fashioned Jeep lease agency whose selection is going to be limited by the size of their car lot, whose premises are out of your way and inconvenient to visit, and has massive overhead costs that they have to squeeze out of you in the form of higher lease rates than Car Leasing Brooklyn! 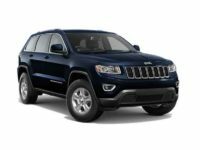 You deserve the best Jeep leasing deals to be found anywhere in New York, so don’t delay another minute! 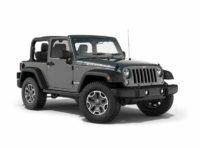 Visit our Jeep leasing inventory page to select the Jeep you want, or call us directly at 718-307-5639 today! 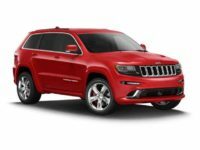 Phenomenal Prices on Jeep Auto Lease Deals at Car Leasing Brooklyn! Have you leased a vehicle before, and in the process of schlepping around car lots, being harangued by salespeople, filling out piles of paperwork, going through a slow credit approval process, thought “there’s got to be a better way to do this?” You probably have – and so has Car Leasing Brooklyn! That’s why we invented the fully-electronic Jeep car leasing system that’s our pride and joy, and our number one selling point! This system allows us to slash overhead costs to the bone and offer a much wider selection of Jeep vehicles than any other lessor in New York! To wit: Car Leasing Brooklyn dispenses with the idea of a physical car lot (which adds to overhead costs in monthly rent or, in the case of outright purchase, property taxes that increase with every passing year), and also does away with the entire leasing fleet (that costs even more when you think of buying the entire stock of cars, upgrading the fleet with each new model year, and then selling off the cars that weren’t leased at a loss). Instead, we utilize the relationships that we’ve built up over the years with New York Jeep dealers, and they let us offer their stock of cars as our Jeep inventory so that you get the best selection possible on your next Jeep auto lease! Even better – we don’t employ a roving flock of salespeople to harass you and push you around with their hard-sell tactics, trying to “up-sell” you to a vehicle that you don’t necessarily need or want, thinking only of their fat commission checks! This means not only is the whole Jeep car lease process smoother and more pleasant for you, but none of your monthly lease payments go to these salespeople’s salaries! With all these benefits and savings, why would you lease a Jeep from anyone else? 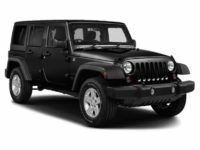 Call us at 718-307-5639 today, or go to our Jeep stock page to start the process of leasing the Jeep you’ve always wanted!